After crashing his early Gullwing, Chris McLaren rebuild its mechanicals into a newly acquired Fastback. 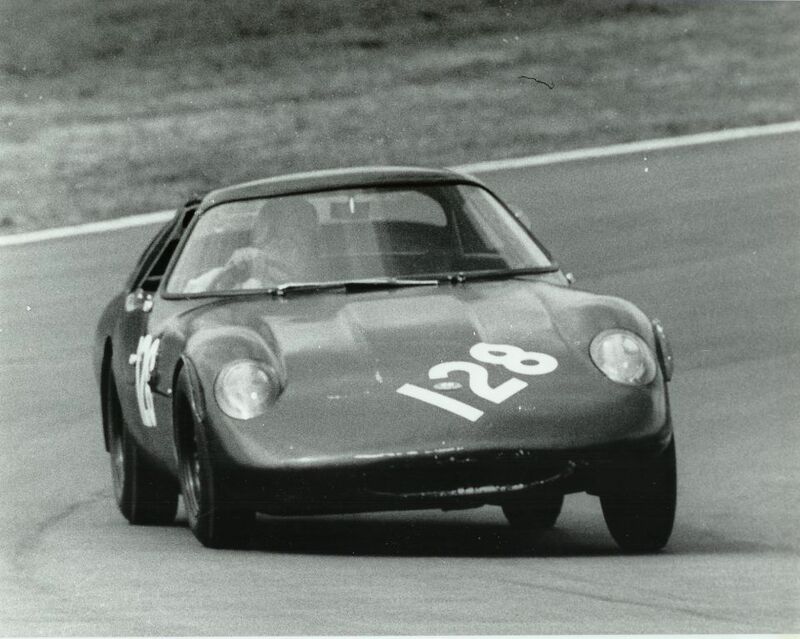 It took us a while to confirm to find pictures of Chris McLaren driving his second Marcos, but recently some more pictures came to light. 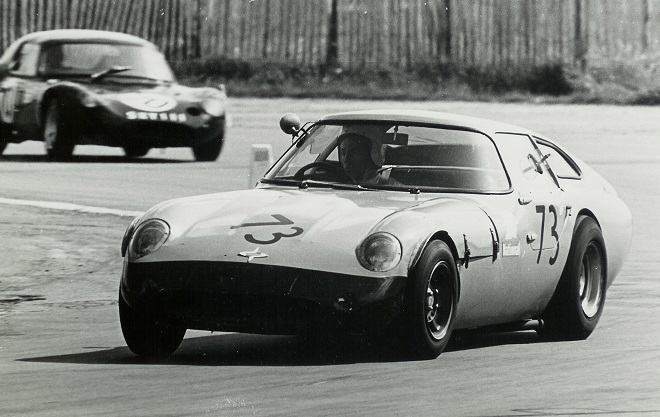 McLaren competed in the 500km Nurburgring in 1964 but he failed to complete the first lap. 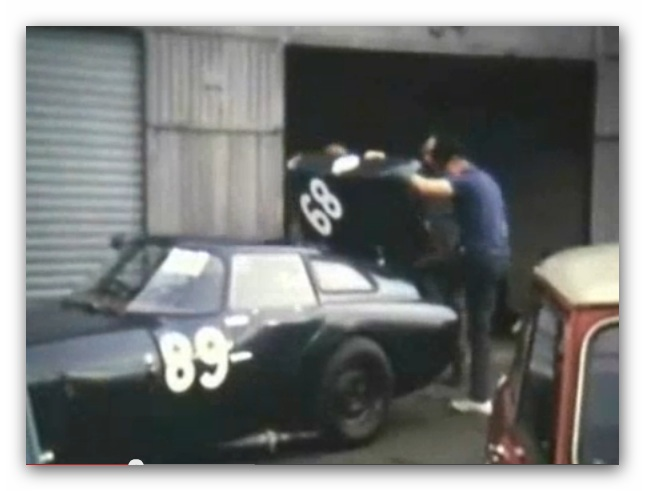 This shot from an 8MM film provided by John Sutton was one of the first visual confirmations McLaren actually drove a Fastback. 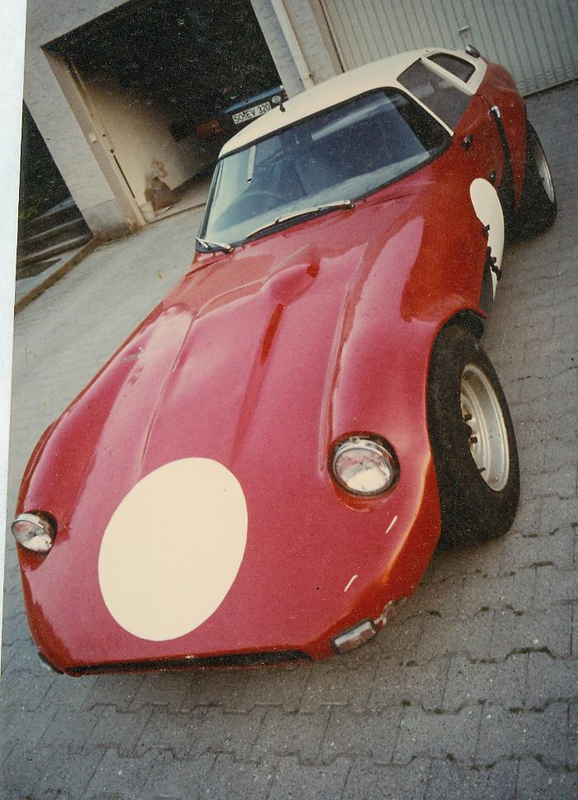 The cars were listed as Marcos GT, no matter an early or later Gullwing or a fastback. 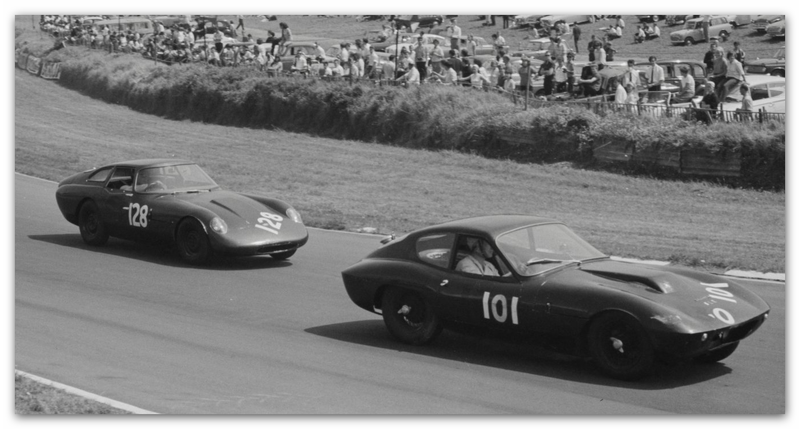 This pictures taken at Brands Hatch during the 1964 Guards Trophy shows the cars distinctive aluminium bonnet. It is different to the fibreglass bonnets from Brian Henton and later used by Jem Marsh, and the aluminium bonnet used by Peter Brayshaw. Keith Rowley in the same car. The same car in 1984, as acquired by Klaus Tweddell. Over the years the car’s chassis had been repaired by a crude steel subframe. Like so many 1960’s race car, it was heavily modified with bigger wheels and even bigger arches.